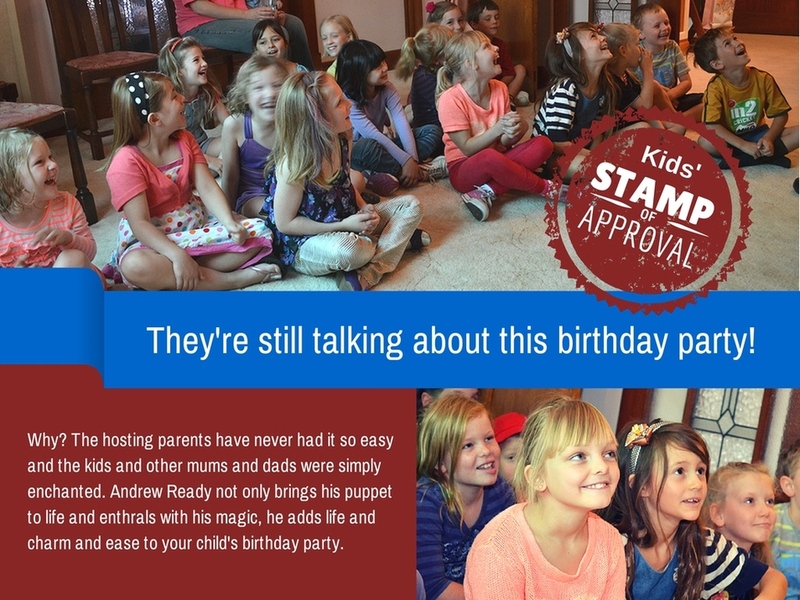 ﻿Take a load off your mind and let Adelaide's most exclusive birthday party entertainer make your child's day unforgettable with a captivating combination of magic, ventriloquism and fun. Birthdays are such an important time that Andrew has a dedicated birthday party service. Your privacy matters to us: When you trust Andrew with your details to help facilitate enquiries, quotes, or other communication, he knows you want that information treated respectfully. Andrew Ready will not give or sell your information to marketers, political parties or others, unless required to by law.